We have news. This Is Love is a proud member of Radiotopia from PRX. If you haven't already, please subscribe to the show and review us on iTunes! Say hello on . Artwork by . More than 40 years ago, a man moved to an abandoned mining town to be alone. He says that there are days in the winter "when it's so quiet that the noisiest thing is the snow hitting your jacket." 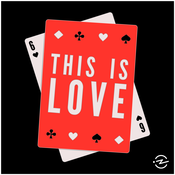 We have new This is Love stickers ! This Is Love is a proud member of Radiotopia from PRX. If you haven't already, please subscribe to the show and review us on iTunes! Say hello on . Artwork by . Sponsors: Away UK For £15 off a suitcase, visit and use promo code THISISLOVE during checkout. Quip Go to right now and get your first refill pack for FREE with a quip electric toothbrush. Progressive Choose your coverage and start an online quote today at Zola To start your free wedding website and also get $50 off your registry on Zola, go to Toyota Visit to locate a dealer, search our inventory, and find all our current offers. A story about moving at your own pace. This Is Love is a proud member of Radiotopia from PRX. If you haven't already, please subscribe to the show and review us on iTunes! Say hello on . Artwork by . Sponsors: Bombas Go to and you’ll get 20% off your first order. Care/of For 25% off your first month of personalized Care/of vitamins, visit and enter promo code THISISLOVE Everlane Get free shipping on your first order when you go to Progressive Choose your coverage and start an online quote today at Progressive.com Quip Go to right now and get your first refill pack for FREE with a quip electric toothbrush. Sun Basket Go to today to learn more and to get $35 off your first order! 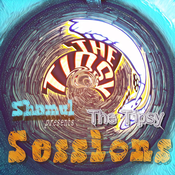 Lyt til This is Love, Tipsy Sessions og mange andre stationer fra hele verden med app'en radio.dk.